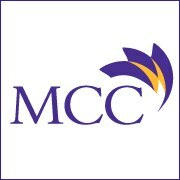 McHenry County College is a two-year community college serving residents residing in Community College District 528, which covers most of McHenry County, Illinois, as well as portions of surrounding counties. Exploring Chemistry via Canvas Network 4 weeks long 4 weeks long 19th Aug, 2013 No reviews yet. Fundamentals of Energy Resources via Canvas Network 5 weeks long 5 weeks long 17th Aug, 2015 No reviews yet.